Bletchingley Castle is an 11th century earthwork ring motte and bailey fortress, founded by Richard fitz Gilbert. In the 12th century, the de Clare family founded the stone castle, when adding a hall-keep to the motte. Built in the Norman layout of two baileys with the large oval motte in-between, it stands against an escarpment. 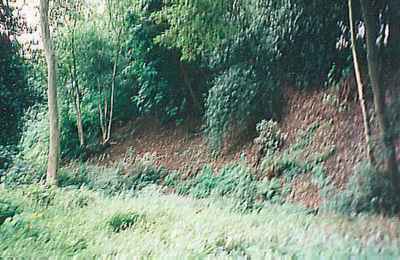 The castle is still defended by a deep ditch but sadly only the foundations remain of the hall-keep and with the dense cover of trees, the best restricted view of the motte, is in the winter. 4 miles west is Reigate Castle and 6 miles south is Thunderfield Castle. Bletchingley Castle is located in the village centre, off Castle Street. 4 miles east of Reigate, on the A25. The site and the drive to Castle Hill house are strictly private. The view from a public footpath, which passes the motte from Castle Square, is restricted.